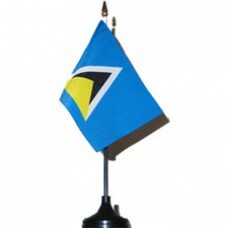 St. Lucia small bumper sticker is 2 inches by 4 incles in size and great for all applications. Apply..
St. Lucia CD, great for representing your Caribbean Country. This CD is great for hanging from your ..
A pair of St. Lucia Wristbands are ideal for casual wear and authentic representation of your countr..